Will we ever see a D400? It wouldn't be a day ending in y if there wasn't at least one Nikon rumor floating about. Here on this continually updated Nikon rumours page, you'll find the latest hot gossip, information and rumoured specs on what camera is likely to be announced. Got any tip-offs you'd like to share? Let us know via our Twitter feed, Facebook page or email. Nikon has been through an active phase of camera announcements, with almost the whole SLR range being refreshed. First came the Nikon D800 and D4, in early early 2012. and then the Nikon D600 in September 2012. These were followed by the D7100 in February 2013, the D5300 in October 2013 and most recently, the Nikon D3300 in January this year. This just leaves the venerable Nikon D300S and D90, which we are told are still current and have not been replaced by any of the newer cameras. The replacement for the D300S, what many assume will be the D400 has had us talking for some time, but there's still no sign of it making an appearance. Now that we've seen the Nikon Df, that also clears the way for an update, or addition, to the D4 line, as we saw previously with the Nikon D3S and the D3X. It's over four years since the D300S made its debut, so it continually seems very likely that an upgrade is imminent. However, this means that there's been at least two years of rampant speculation about its likely spec, so let's examine what's likely. 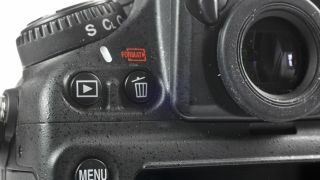 First off, the D400 would assume a position at the top of the DX (APS-C sized) sensored cameras in Nikon's line-up, which should set it apart from the newer D7100. Nikon classes the D300S as the entry-level model in its professional camera line-up, so we expect the same of the D400. The benefit of a DX camera is that it can be smaller and lighter than a full-frame model, which makes it appealing as a second body for pros carrying a full-frame lump like the D4. In addition, the 1.5x focal length magnification factor allows tighter framing of distant subjects, making it a popular choice with sport and wildlife photographers. Nikon has had a phase of significantly upping the pixel count of its SLRs, with 24 million being the most common figure. It seems likely that Nikon could stick with this for the D400, but give it a greater burst depth than the D7100 and thus turn it into a better choice for keen sports and wildlife photographers. Perhaps we will see a return of 7fps as the maximum continuous shooting rate, with a boost to 8fps or more with a batterygrip? We suspect that the 1.3x crop that was introduced with the D7100 may also feature in the D400, giving photographers an in-camera cropping mode for tighter composition at the shooting stage. It also seems likely that we will see the Multi-CAM3500DX AF module being used with a total of 51-AF points across the frame. If the D400 is to be a pro photographers back-up and the darling of wildlife photographers, perhaps it will also be the first Nikon camera to feature Wi-Fi connectivity built-in. As well as allowing wireless transfer of images, this would enable remote control of the camera via a smartphone or tablet app. Wireless remote control allows you to get great images while you are a respectful distance from timid wildlife. According to NikonRumors, the Nikon Df production, which has caused a supply shortage, was halted in order to make way for a new high-end D4, either in the shape of the D4S or the D4X. It would make sense to see this announced in 2014, in time for the Winter Olympics. We didn't have to wait for much of 2014 to go by before Nikon teased us with the announcement that - hurrah - there would be a D4S coming our way. Sadly, details about the new camera are ridiculously sparse ... all we know is that it's going to exist. The D4 features a relatively low resolution of 16 million pixels. Although the Df shares this sensor, a D4S could potentially use a higher resolution sensor, just as the D3X was higher than the D3S. It's of course possible that Nikon could introduce another camera at some point, aimed at different people - one aimed at sports, wildlife and other fast moving subject photographers, and the other aimed at landscape, portrait and studio photographers. Although the Nikon 1 range took off well, and was a big seller, it seems that Sony, Olympus and Panasonic are making more headway in this sector of the market. Much of the excitement surrounding the original Nikon 1 range seems to have died down. We're not sure what could be upgraded in 2014, but the Nikon V2 seems like a likely choice. With Panasonic bringing the GM1 to the market and demonstrating that a large(r) sensor doesn't necessarily have to mean a large body, it will be interesting to see how Nikon fights back over the next few months. It will also be interesting to see you the Nikon 1 AW1, the world's first waterproof compact system camera sells. Will that prove popular for summer holidays?